NYU President Andrew Hamilton shared the plan—to open the medical school as soon as September—during a University Senate meeting last week, the university's student newspaper reported. A spokeswoman for NYU Langone Health confirmed that Hamilton spoke about the medical school at the meeting and said the program would offer an accelerated three-year program. She declined to provide further details. "We're not going to be making any specific announcements until after state and academic-accreditation approvals are complete," she said. The NYU School of Medicine in Manhattan offers such an accelerated program, which helps students reduce costs. The project was previously disclosed as part of an application to receive $1.6 million in regional economic development funding from the state. The description said total costs would be $8 million. NYU said in August that it would offer all current and future students full-tuition scholarships regardless of need. It said it had raised $450 million toward a $600 million endowment fund, including $100 million from Home Depot co-founder Kenneth Langone. The spokeswoman said she could not comment on whether free tuition would be available to students at the Mineola campus. 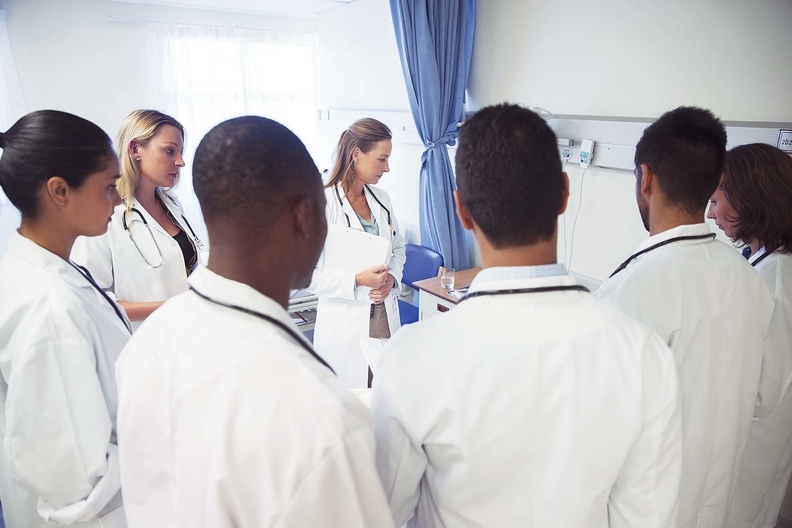 The medical school would join other medical programs already in Long Island: Stony Brook University School of Medicine, Zucker School of Medicine at Hofstra/Northwell in Hempstead and the NYIT College of Osteopathic Medicine on Long Island in Old Westbury. Several new medical schools have opened in recent years in the area. Hackensack Meridian School of Medicine at Seton Hall University welcomed its first class at its campus spread across Nutley and Clifton, N.J., in July. Marist University said in September that it would establish a medical school with Health Quest in Poughkeepsie in 2022. The CUNY School of Medicine in Harlem expanded into a fully accredited, four-year program in 2016. "NYU to establish Long Island medical school at Winthrop" originally appeared in Crain's New York Business.